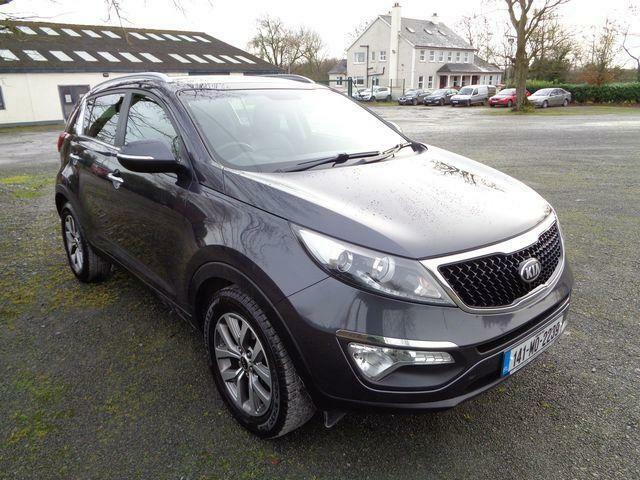 Very nice high spec Sportage. Excellent condition inside and out. Very well specced car with 17 inch alloys, cruise control, climate control, rear parking sensors, bluetooth, aux-in and USB, half leather upholstery plus panoramic twin sunroof. This car has 2 previous owners and full service history. Has just been fully serviced prior to sale. Low motor tax of only €280 per year. Taxed until September 2019, NCT valid until February 2020. Finance Available Deposit €2,000 and €63 Per week over 5 Years Apply online at www.daltons.ie Trade in welcome. Finance arranged! We are an authorised credit intermediary for AIB Finance and First Auto Finance. Call Tadhg on 0873359187 or George on 0868548629 to arrange a test drive today. Opening hours: Mon – Fri 9am – 6pm. Sat 9am – 1pm. Out of hours viewing possible by appointment. At Dalton Car Sales we take the time to source the best quality used cars, we prepare them to the highest standards in our fully equipped workshop and we provide full warranty and aftersales service.